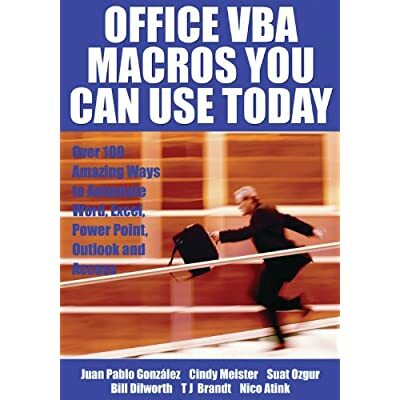 For any Microsoft Office user familiar with Word, Excel, PowerPoint, Access, or Outlook, this book provides tutorials on the tools and tricks that automate these programs for increased productivity. Each lesson includes instructions and a downloadable file on which to test the VBA macros and procedures provided. Tasks covered include how to run several mail merges at once, removing duplicates from data, and saving email attachments.